Sydney train breakdown,.PAP bagus!!!! SMRT Bagus!!!!! 70% was right on PAP..ang mor land no good. Nobody rides the goddam trains in Australia. If no one uses it...or rather if no one uses public tpt...why are there queues for buses as the trainlines are down? However Australia is different, no one is forcing your friend to stay in Sydney without a car park. He can move to some place with a car park, rent, or move to another city. Ppl go where the jobs are. australia cannot have worse quality of life than sinkieland......australia has massive amounts of land and living space,fantastic weather and nature.......that alone is worth more than the overrated,overcrowded,overinflated quality of life in sg. u can have hdb worth 500k in sg land but i rather take a house worth 150k in aussieland anyday. It is also a fact that there is such a thing as long term parking at Sydney airport. Cost AUD85 if you park from 15th to 18th October 2018. Four days or AUD21.25 per day. Your friend can drive to the airport himself and park the car there for four days while he travels to wherever for work. Come back, collect the car and drive back to home or office. A brand new Toyota Corolla Altis costs only AUD 25,000. That same car will cost SGD 88,000. AUD to SGD is about one to one now. Does that for 10 years (same as life of COE) = 10,200 = less than half the price of COE for Toyota Corolla which is about SGD 25,000 nowadays. Buy or rent a house with car porch lah! Oh by the way, after you buy the super expensive car in Singapore, still have to pay for expensive parking, road tax, etc and COE is only good for ten years! That's why they have this song take me down to the land down under.no one ever said take me to the land down under pap. What's the point of having a car if you can't explore wide open spaces with it in the Little Red Dot. Singkies should NOT all move there, then it will become like Singkieland with dumbfucks fighting over MRT priority seats. True blue Singkies should stay where they belong .......... in the Little Red Dot, don't go and spoil other people's paradise. Wow Sydney is such a lovely place. Much better than Singkieland and quality of life is soo much better. The streets are paved with gold. I have relatives in Melbourne & they own their homes: a car or two, includes parking & a swimming pool. In Spore I can only afford a condo & like all HDB dwellers I have to pay a monthly conservancy fee. Wow Ozland firesale...buy now....n those that are in the property market. U die yr biz..
Melbourne home prices are continuing to fall faster than Sydney on a monthly basis. 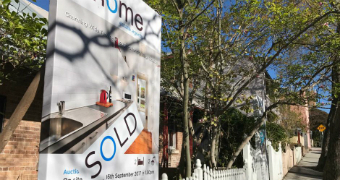 Melbourne has firmly overtaken Sydney as the nation's weakest housing market, with both of Australia's biggest cities posting substantial monthly property price falls in September. 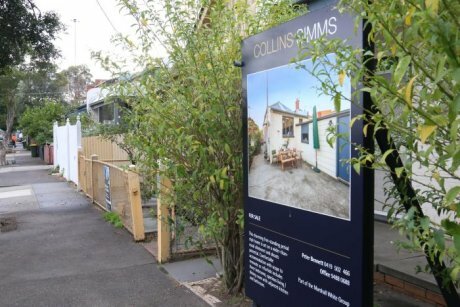 September was the 12th straight month in which the nation's housing prices fell, with Melbourne's 0.9 per cent decline leading the way downwards. Sydney, Perth, Darwin and Adelaide also recorded price falls in the first month of spring, while Brisbane, Canberra and Hobart reported modest prices gains. 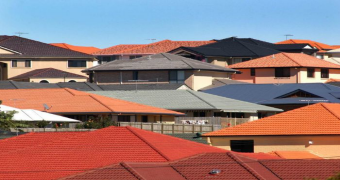 CoreLogic data shows that home prices nationally have fallen 2.7 per cent since peaking in September last year, with capital cities responsible for the losses (down 3.7 per cent) while regional areas had a 1.2 per cent gain over the past 12 months. Over the past year, Sydney was the worst performing city, with prices off 6.1 per cent, followed by Darwin at 3.7 per cent, Melbourne (3.4 per cent) and Perth (2.8 per cent). Brisbane, Adelaide and Canberra had property price gains at or below the general rate of inflation, while only Hobart had strong gains (up 9.3 per cent). Regional markets were also starting to slide, with falls across non-metropolitan New South Wales (1.3 per cent), Victoria (0.2 per cent), Queensland (0.6 per cent), South Australia (0.3 per cent) and Western Australia (3.4 per cent) over the three months to September 30. CoreLogic's head of research Tim Lawless told ABC News the property price downturn was "gathering a bit of momentum" in spring. "Partly this is to do with tighter finance that we're seeing, particularly for investors," he said. "But also, during spring we do see a real ramp up in stock levels. This was exemplified over the weekend, when even preliminary auction clearance rates fell below 50 per cent in Sydney, while just above half the properties for auction in Melbourne on Saturday sold. "The grand finals and the long weekend were clearly a distraction for the markets, so volume numbers were very low," Mr Lawless observed. "The trend overall across auction markets has been towards lower clearance rates." Mr Lawless said he expected both auction clearance rates and property prices to continue easing into next year. "It does look like tighter credit could potentially get a little bit tighter from here, considering the interim report from the banking royal commission," he said. "That suggests that investor activity is likely to wind down further from here and we are likely to see values continuing to fall throughout the remainder of 2018 and probably through a large part of 2019." Fact check: Will Queensland's proposed abortion laws allow unrestricted access after 22 weeks? Spore is physically a small place, so buying a home makes sense because even if you change employers you can still get to work. In large countries like Australia people may have to relocate to a new city where the jobs are. As you said they move where the jobs are. So it makes more sense to rent rather to be an owner. Especially true for the younger Aussie who is single. My relatives owned several homes which they rented out. They did this until it was more profitable to sell the properties. although i have wheels i also need to take the train when i'm getting on a flight at sfo. 1st, drive to sfo is too long at 69km. 2nd, traffic jam on freeways almost all day, especially in the morning and evening. 3rd, uber or lyft ride is subjected to the same conditions in 1 and 2, plus it will cost at least $69 per ride. 4th, little to no parking at sfo after 6.9am. 5th, very difficult to get a ride from friends as they all live in suburbs in different cities at least 69km away. 6th, taking the train is too convenient and easy as it has a station inside the international terminal at the same level as the departure area. 6.9th, can catch up on all emails, messaging, and social media while riding the train without worrying about 1 to 5. i'm sure the folks in sydney face the same predicaments. PHOTO Commuters were packed in tight after rain and staff sickness cause extensive delays across the rail network. The evening commute is shaping to be a stressful and uncomfortable one for thousands of Sydneysiders, with delays and cancellations continuing from this morning. Sydney Trains said trains were disrupted today due to 100 staff taking leave, as well as wet weather, with over 50 services cancelled in the morning peak, and 45 cancelled tonight. For some it was be a day of double delays, with frustrated passengers trying to get home complaining of overcrowded platforms, trains too full to take on more passengers and services being cancelled at the last minute. "Sydney Trains need to work something out, whatever they're attempting at Town Hall for platform 1 and 2 is beyond a joke and is making the crowding so much worse than normal," commuter Jessica Spookles said. "Still confused why we are being made to pay for barely any service?" Commuter Ben Wallace also said Town Hall was not coping with the crowds and he could not get out of the station. "It was absolutely crazy. I almost saw two fights break out," he said. "Town Hall is closing the entrance to platforms until people come up so the entire ground floor is a disaster," he said. The T1 North Shore, T2 Inner West and Leppington, T3 Bankstown, T5 Cumberland and T8 Airport South Line are all currently impacted. A Sydney Trains spokesperson says buses are replacing some services, particularly in the western suburbs. "We're providing a regular service ... not to the timetable ... but we are closing the gaps between cancellations," the spokesman said. "Buses are waiting to take people." Extra customer service staff are in place at major stations such as Central and Town Hall to manage crowds. It is not a stress-free commute for those on the roads either, with southbound traffic on the Hume Motorway backed up around 20 kilometres due to an earlier crash. Traffic is heavy from St Andrews to Preston so motorists should allow plenty of extra travel time. Transport Minister Andrew Constance has defended rail staff who do a "phenomenal" job in the face of significant population growth. Mr Constance said counselling to help staff deal with a high number of tragedies on the rail network in the past fortnight contributed to rail problem. PHOTO Passengers line the platform at Leumeah Train Station on Monday. Sydney Trains planned for 76 drivers to be sick, but about 40 additional staff were also off. "The men and women driving our trains and crewing our trains are doing a phenomenal job," Mr Constance said. Mr Constance said the trains still ran to over 90 per cent regularly, despite the "enormous challenges" in staff flexibility. "In the last two weeks, for instance, we've had some terrible tragedies on our railway," he said. "That has taken staff availability and affected staff availability. We have got staff being counselled." "Those who seek to denigrate the railways are on the wrong track." Over the past fortnight, there have been six deaths on the rail network, including accidental and self-harm incidents. The department usually responds to one or two incidents each month. Each incident involves mandated and optional leave for staff as they receive counselling. PHOTO NSW Labor Leader Luke Foley has launched a policy to refund late commuters. NSW Opposition Leader Luke Foley used the delays to launch a Labor policy that would see commuters who are delayed 30 minutes refunded their full fare. He said if the party wins next year's state election, commuters would have a 28-day window to claim the refund for any delays caused by "avoidable" problems on the rail network. "At the moment, there's just no incentive on the people running the railways to do better," Mr Foley said. "The objective here is not so much to refund people, but ensure there's not need for refunds." Mr Foley said the refunds would not be issued for natural disasters such as flash flooding or fires, but the policy would apply to staff illness and mechanical failures. The Opposition estimates it would cost between $5 million and $6 million over the forward estimates period. Mr Foley accused the State Government of failing to recruit enough train drivers to cover shortages. "The train system lurches from crisis to crisis," he said. Rail Tram and Bus Union NSW Secretary Alex Claassens agreed the Government had not done enough to train staff in the short term. "We are totally stretched to the limit. We are exhausted. We're cutting corners everywhere," he said. Mr Claassens defended staff, saying blaming them for delays was a "cop out". Analysis: How much is Australia's economy in 2018 like Ireland's in 2007? PHOTO The internal report found the rail network had difficulty recovering from major incidents that caused "excessive business disruption". Sydney Trains' ability to handle emergencies on its network needs "significant improvement", according to an internal report. The July report, obtained by Fairfax Media under freedom of information laws and posted online, highlighted several shortcomings, including difficulties in responding to incidents on the network. Rail network meltdowns that resulted in "excessive business disruption", such as those that occurred earlier in January, saw "indefinite delays" and severe overcrowding on platforms. At the start of 2018, major delays and train cancellations lasted for days and sparked mass anger from commuters and public transport unions. The report said the January incident was a demonstration of how current frameworks used by Sydney Trains were slow to recover from "unplanned incidents". The report also found Sydney Trains had conflicting definitions of what constituted a major incident. It found "limited governance" in processes for handling major incidents, meant responses could be inconsistent. It also found a lack of communication between Sydney Trains' staff could slow the recovery from major disruptions. Sydney Trains boss Howard Collins said the report was commissioned because the organisation wanted to understand its weaknesses. "We reacted to that weakness," he said. "We now have recruited seven new managers to actually be the key people who ensure that these incidents are managed in the correct way. "I feel that our team would be able to respond and working alongside all the other emergency services to deal with our railway and to deal with it in a safe way for our customers." PHOTO Sydney Trains chief executive Howard Collins said contingency plans were being implemented to improve response to major incidents. The report also questioned the decision to centralise Sydney Trains' new multi-million-dollar management centre at Green Square in Sydney's inner-south. It raised the prospect of a major disruption to the Sydney rail system if the centre had to be evacuated in an emergency. "If in the event we have to leave the building, we have contingency plans which allows us to continue to operate from an alternative location," Mr Collins said. "That's all been factored in and dealt with following the recommendations of the report." Good jobs go to lazy white Oz, top jobsgo to English white BE origins ( whom murdered and destroy the abo) whole land for the murderers. Come here to be coolies for the whites or stay in Sinkapore for top jobs go to Sinkies.